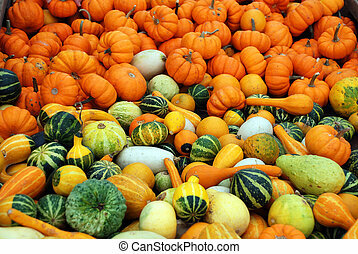 Fall gourd. 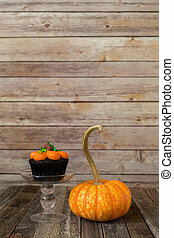 A gourd with a twisted top and some fall mums. 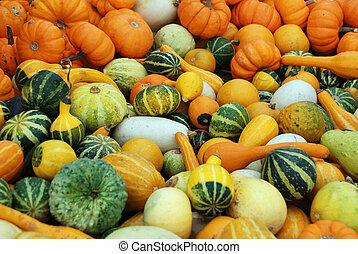 High angle shot of a Fall Gourd Still Life. 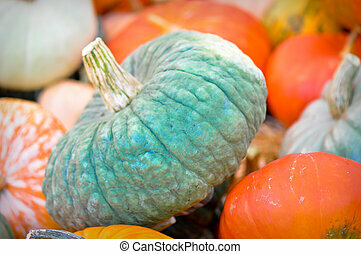 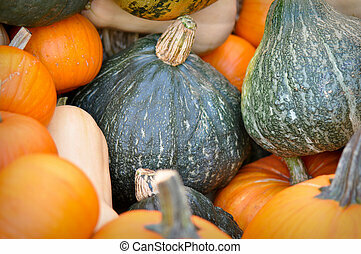 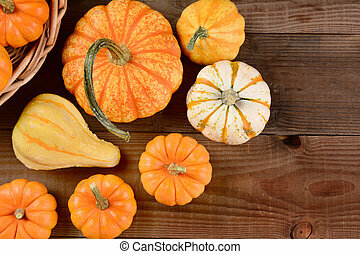 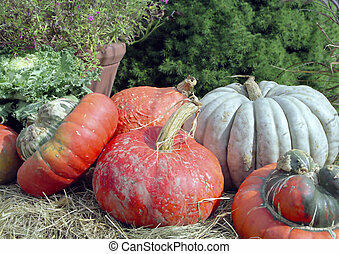 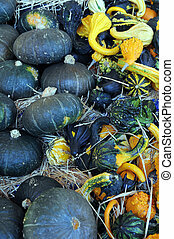 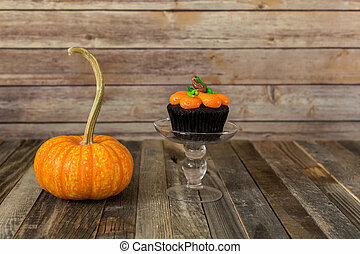 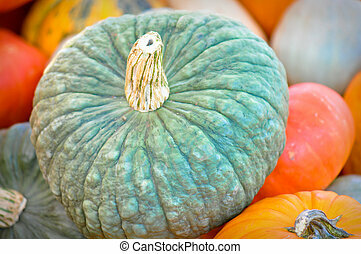 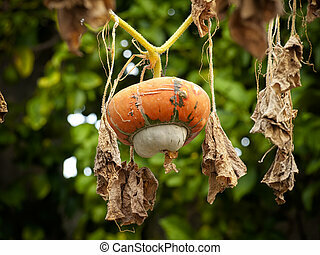 Assorted gourds and pumpkins on a rustic dark wood background. 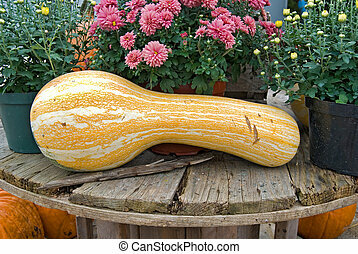 Gigantic gourd with fall mum plants.